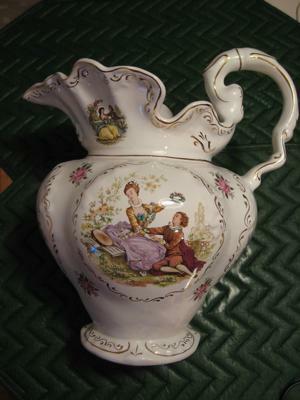 Decorative Pitcher with Watteau paintings Query - Pedder :- My wife and I purchased this pitcher from a local thrift store because it had similar artwork to a tea set I bought from a recent Eurotrip. The pitcher had artwork of Watteau paintings and gold trimmings. It has the word Pedder on the bottom. 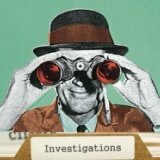 Submitters please give your names as we don't really want anonymous submissions as they kind of miss the point of what this website is all about - a friendly online community helping each other out. I have never heard of Pedder and I couldn't find any reference to Pedder in any of my encyclopedias of china and porcelain. There is also nothing online - so I have drawn a blank all around, unfortunately. I do have a hunch though whihc may be wildly wrong of course. I would not be surprised if this ware is from Hong Kong. Why do I say that? Well there is a very famous old street in Hong Kong called Pedder Street, and it is just the sort of name a Far East maker would use in branding their wares. This guess may be wildly inaccurate, but let's wait and see! 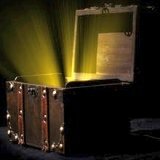 However, I feel sure that this will be one of those threads which will be found by people and over time we will get to the answer of this mystery one way or another. It may take some time, but we will get there in the end. I have a vase on a stand with identical paintings to the one shown. It was purchased in England in the early 1900's. 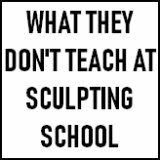 I would be very interested to find out more. I just purchased a storage unit ar auction and in one of the boxes I found a 10 piece tea set. The pot, creamer and cups are all gold on the outside. The saucers are gold trimmed. The painting is the same picture as the one you have shown. The bottoms of my sets are marked differently though. I did research and the cups I have were made by RETSCH & Co in Wunsiedel Bravaria Germany, date unknown. The saucers are marked by SCHUMANN ARZBERG GERMANY. These saucers are from the 50's. Now we are looking to just sell them. not really much is know about this co. (pedder)nor any info available online. I collect anything made by them from animal salt n pepper shakers, different fruit serving bowls, pen stands and just bought a pitcher like the one you posted. I tried again to look up Pedder Johnson and found only some references to a sanitary ware company seemingly based in India who now seem to make wheelchairs and other items of this nature, and I also found an old Victorian bank in Preston which went bankrupt 150 years ago. So whoever these people are, they are mysterious, but you have definitely helped us by pointing out you collect various of their wares. Getting a little closer. Let's see what else people come up with. Please post even if you have the smallest piece of info. I have a Pedder too! 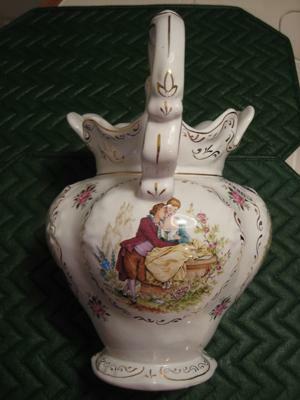 I have an 8 1/4" tall vase with purple and white flowers and gold trim with handles. The signature on the bottom says PEDDER and stands at the tails of 2 sea horses facing each other. I have also been unsuccessful at finding any company information. From what I found out from the father of the man who owns the shop said that it used to come from the far east many years ago..said the co. stopped supply 35 to 40 years ago. Just saw an ashtray for VSOP Ex Shaw Deluxe Brandy, which was trademarked in 2010 in India. 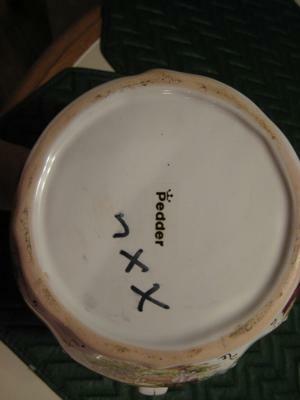 The ashtray is stamped Pedder with crown over the P. So it is reasonable to assume it too is in India and still active. Pedder filed it's trademark on 08 March 1999, registered in MAHARASHTRA in the IP Office MUMBAI. Maker of decorative ceramics. Traci, the logo you describe is for Pedder Ceramics of India. The logo was designed by designrg RGD aka rabia gupta designs in India. The logo you posted is different than the logo of the vase described in the picture. Can I safely assume the vase may not be from India? The craftsmanship and detail of the design surely look much older than 1999. Tim, my initial response was to Traci who had the logo with the two seahorses facing each other with the p below. That logo is the new logo for Pedder ceramics. The old logo with the crown over the p is also owned by Pedder Ceramics, which is located in Mumbai India. I suspect the pieces being discussed here where made in India. As to the exact date that Pedder Ceramics was incorporated, I do not have that answer. The 1999 date refers to the new logo. 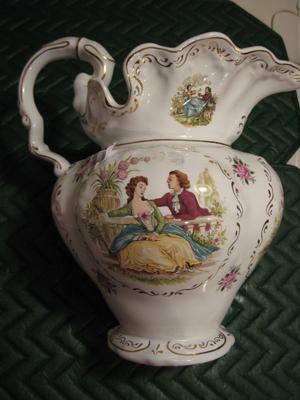 since this co. is so mysterious and they crafted such good stuff why not have a site created as a sought of gallery so people can post pictures of the pedder ware they have, so everybody will have an opportunity to atleast view their creations. Bought a mickey mouse face pedder serving dish...a dice pen stand and an coconut on a leaf agarbatti stand.